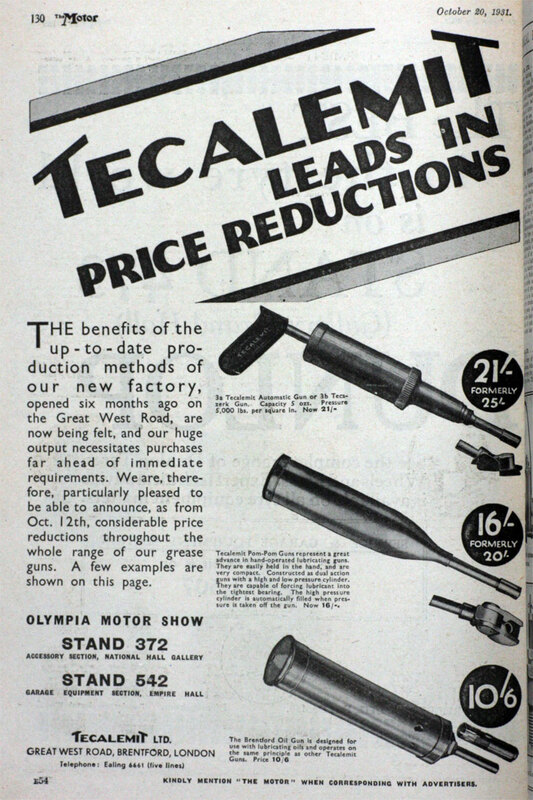 of Plymouth and Great West Road, Brentford, Middlesex. 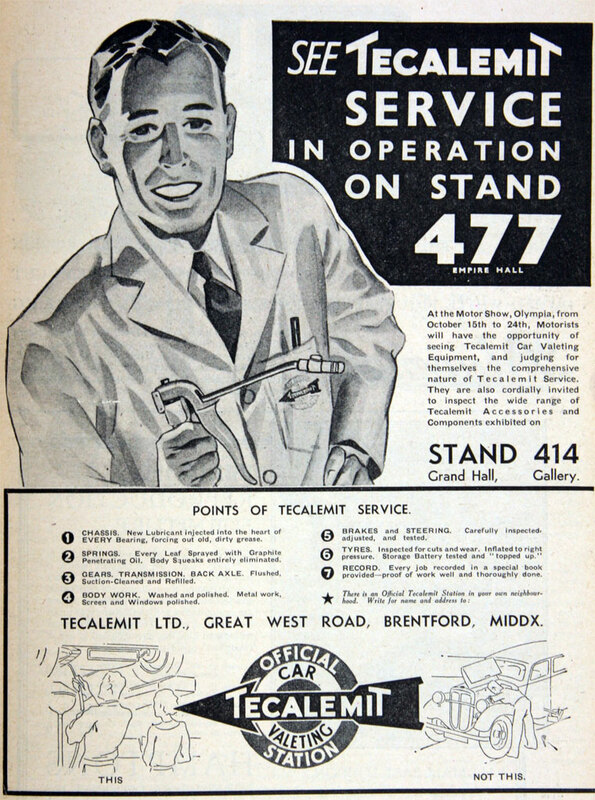 Telephone: Ealing 6661 (10 lines). 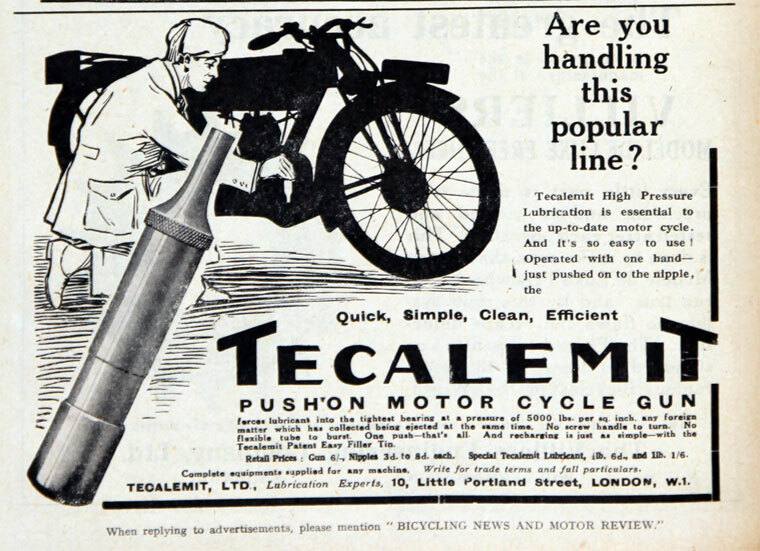 Telegraphic Address: "Tecalemit, 'Phone, London"
of 10 Little Portland Street, London W1. 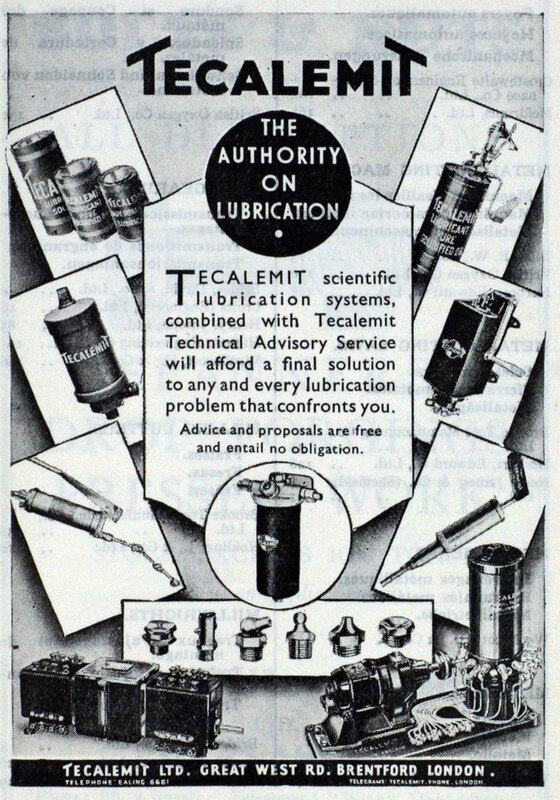 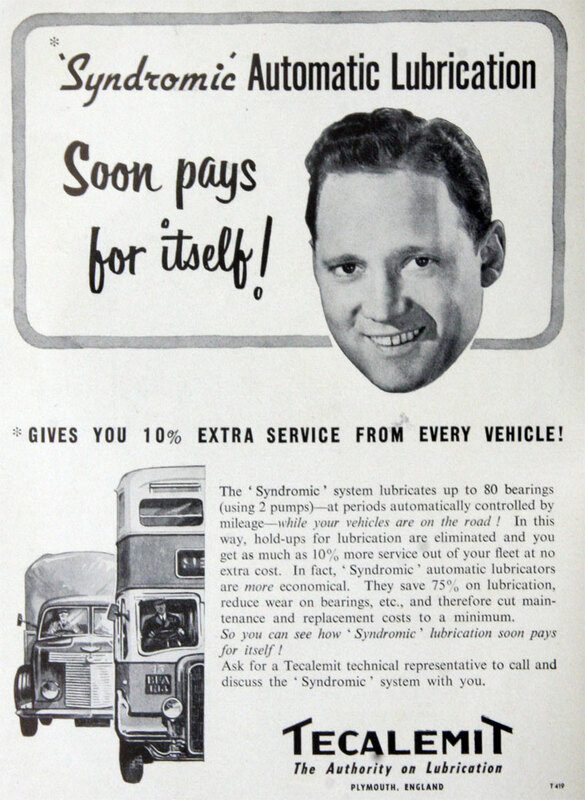 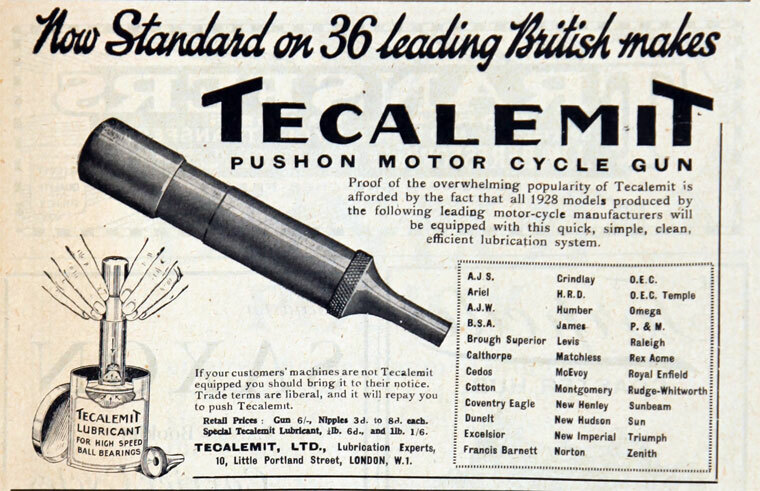 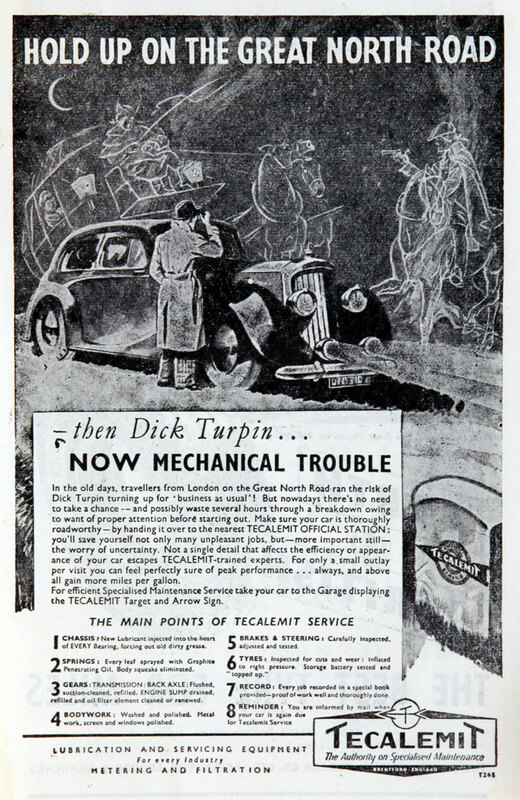 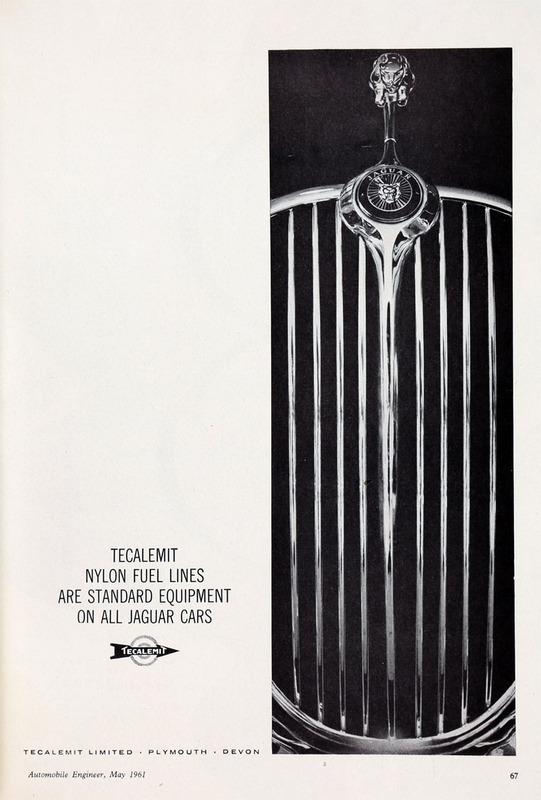 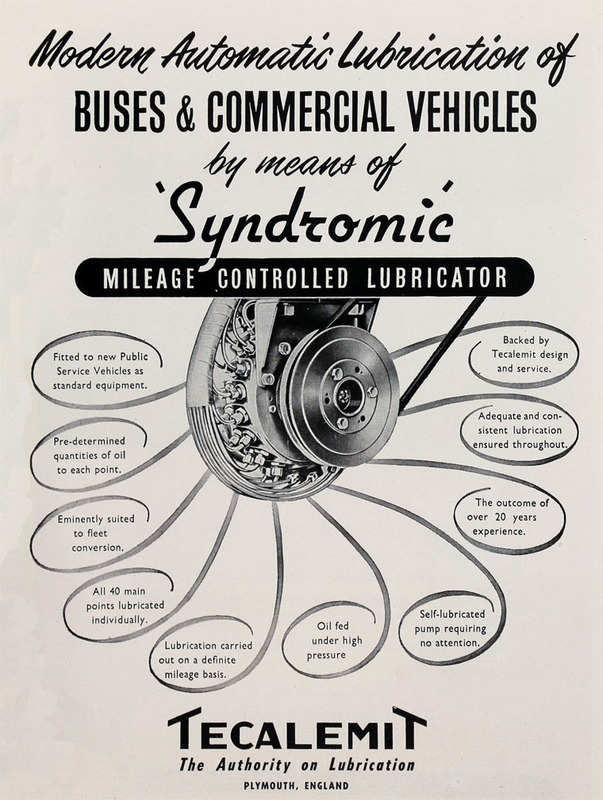 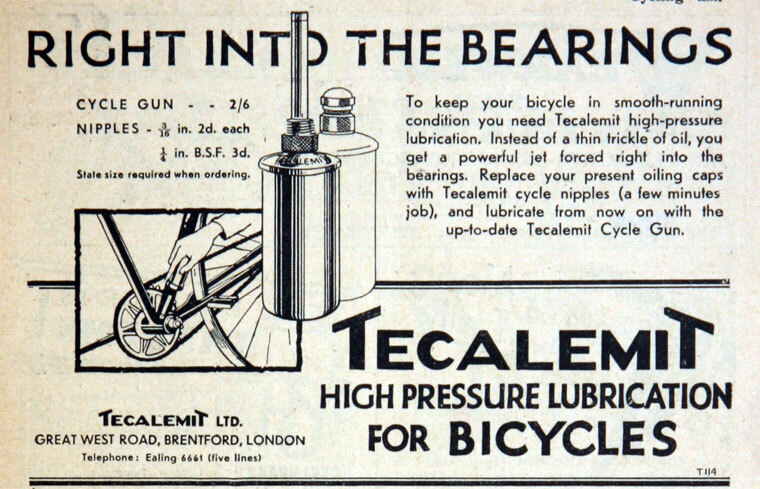 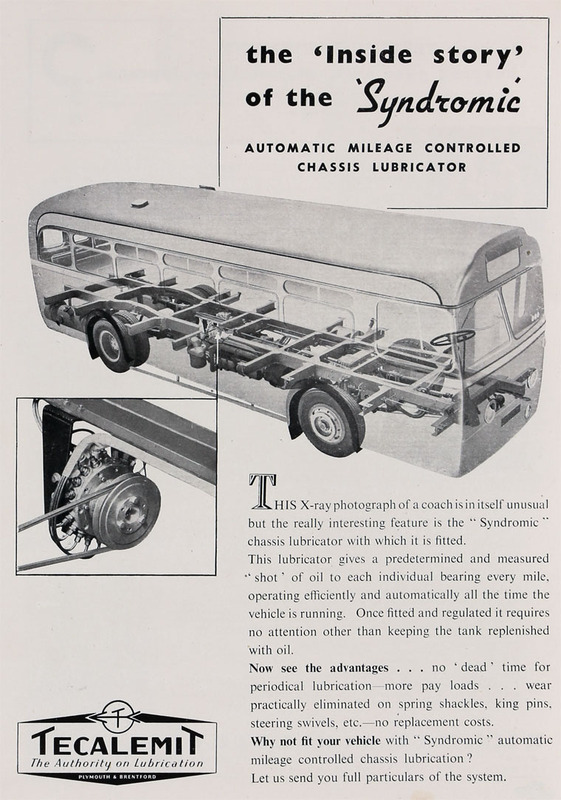 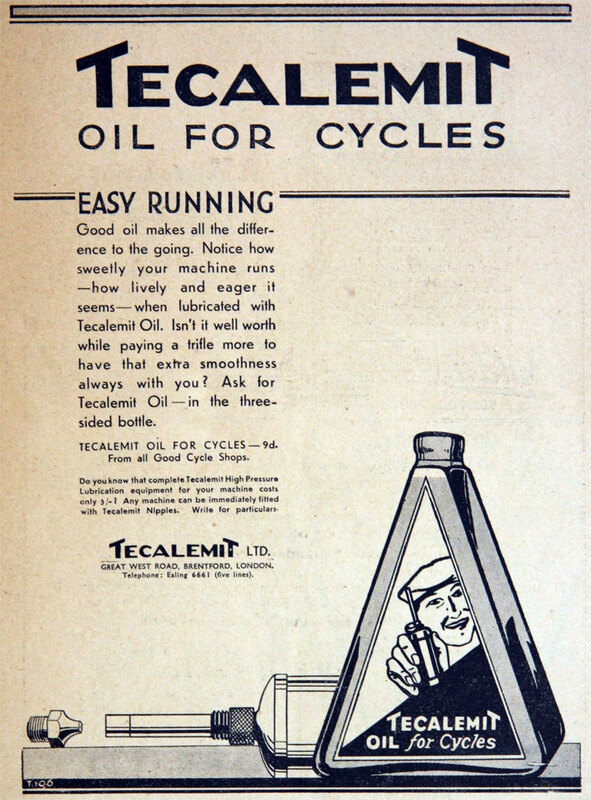 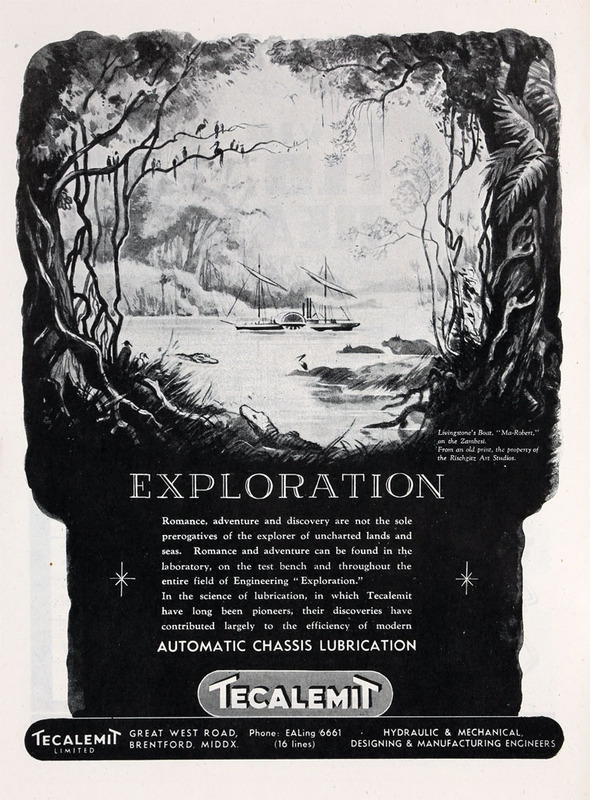 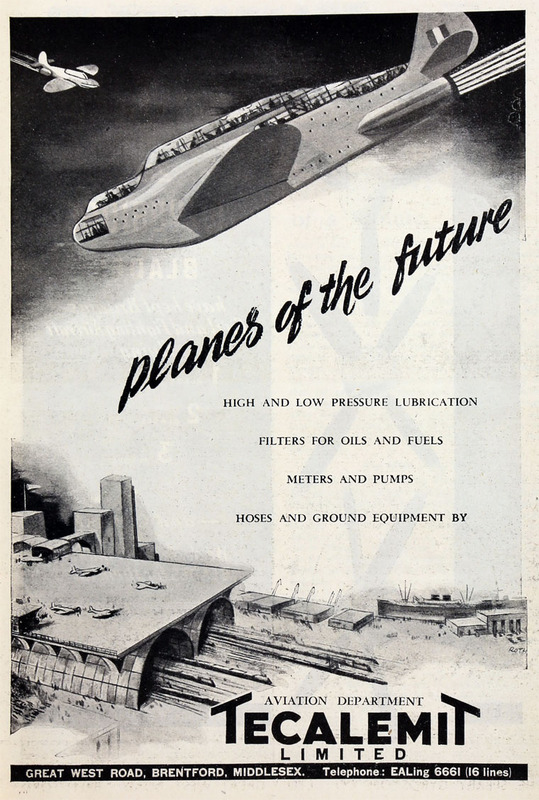 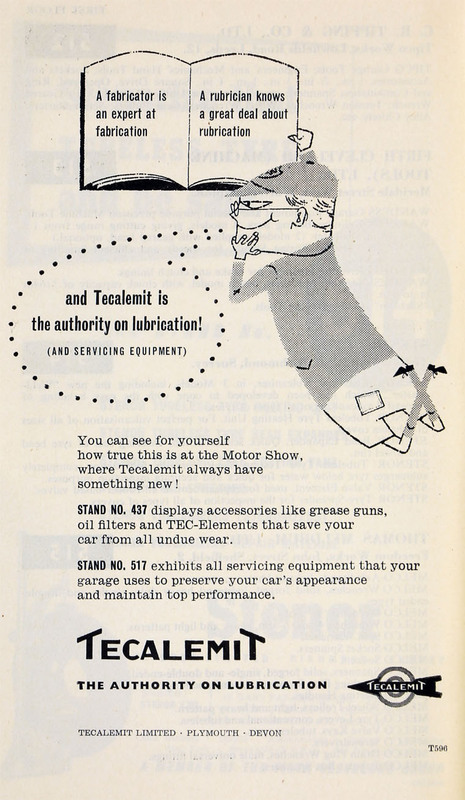 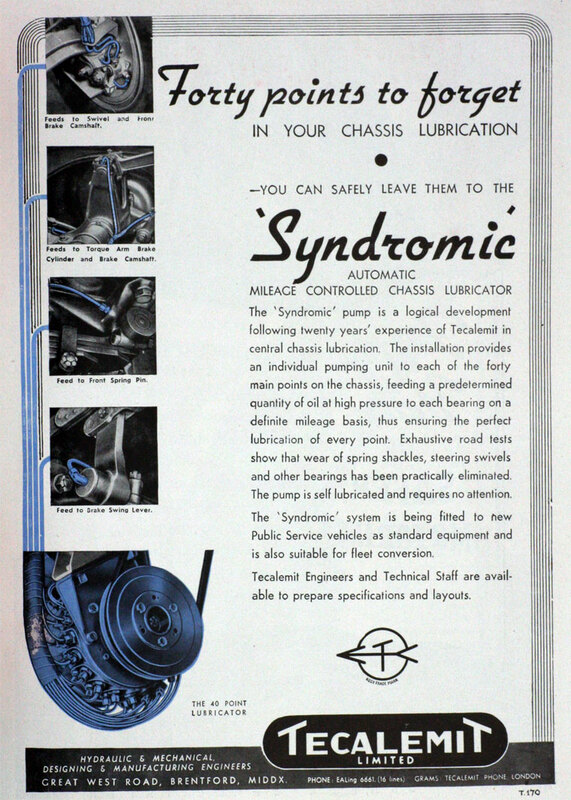 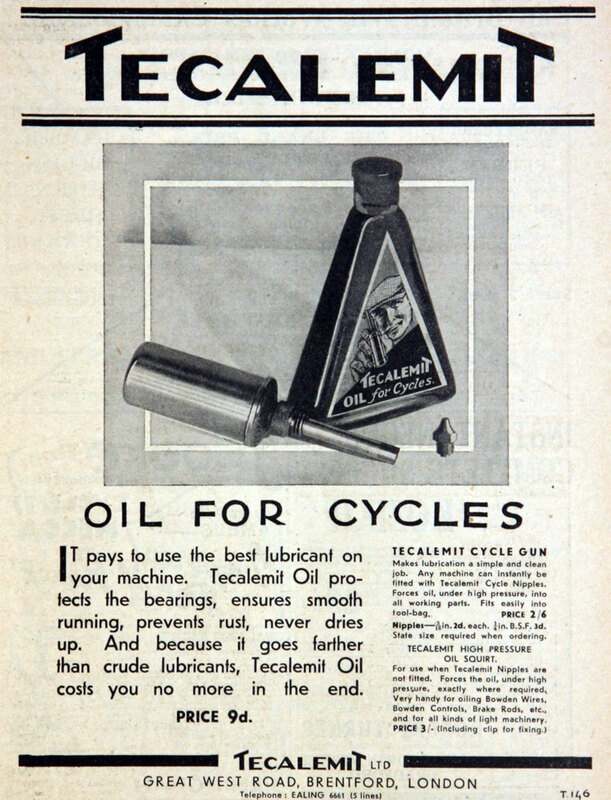 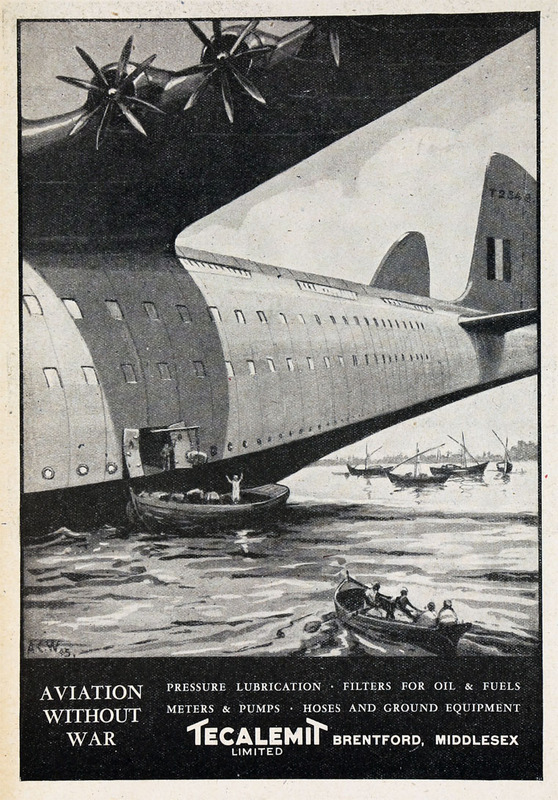 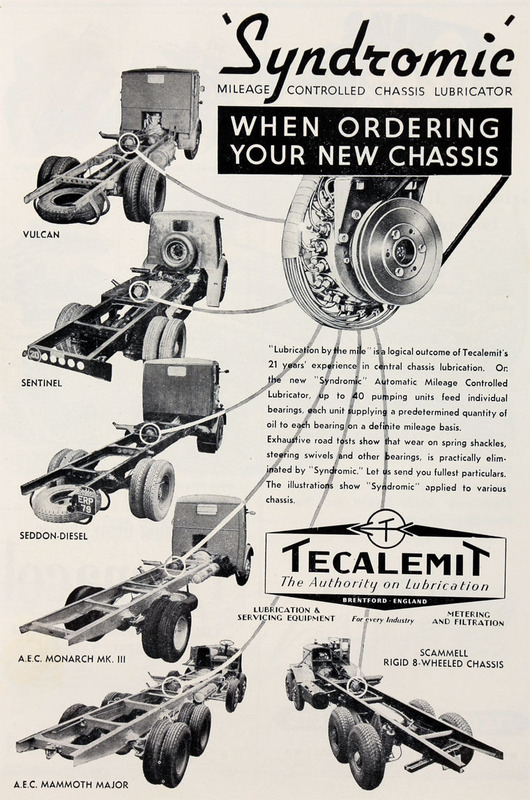 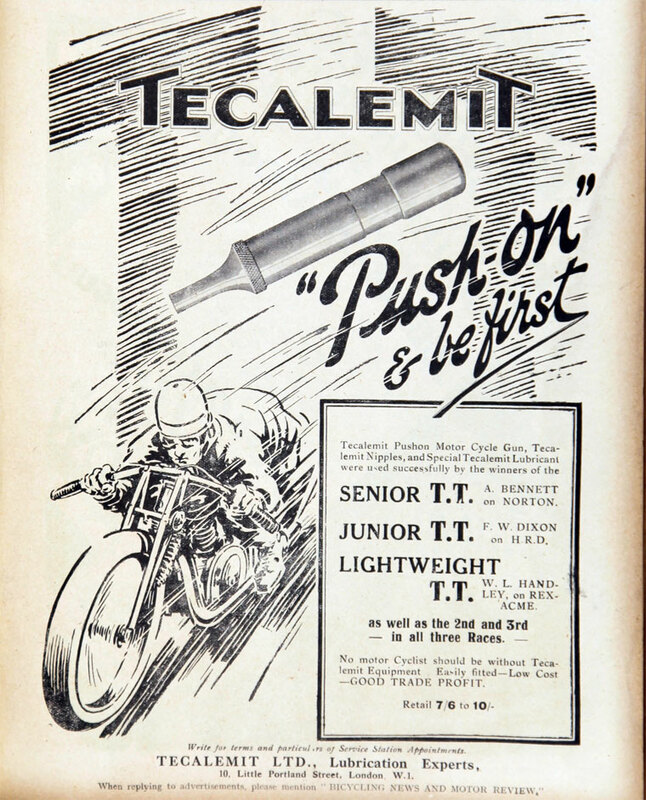 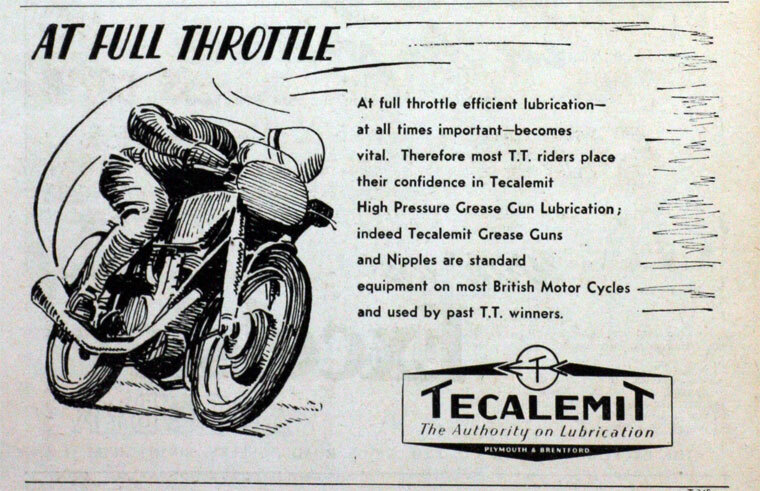 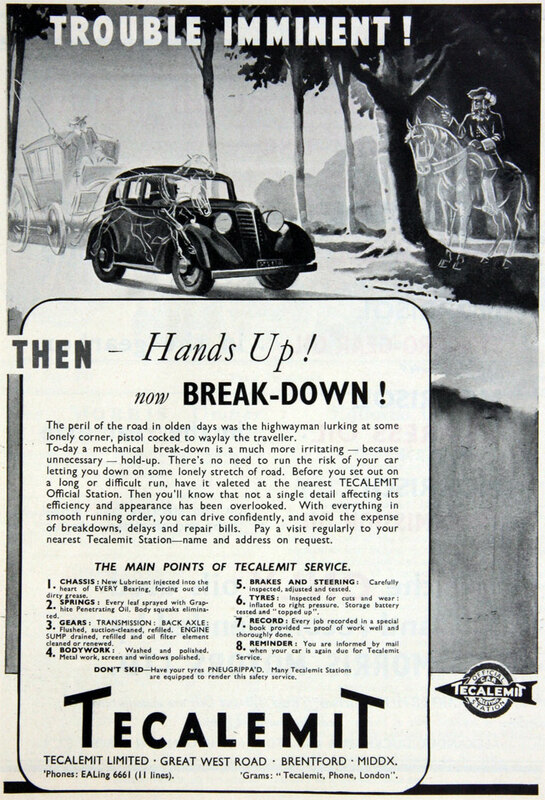 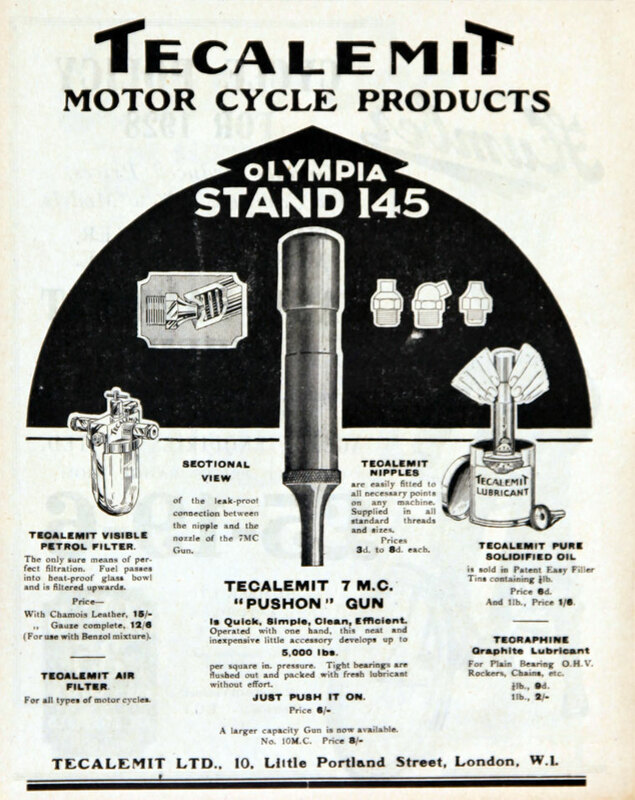 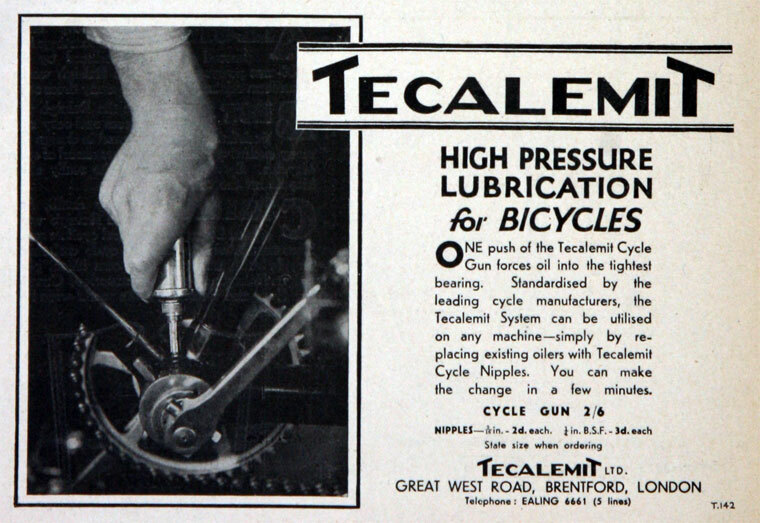 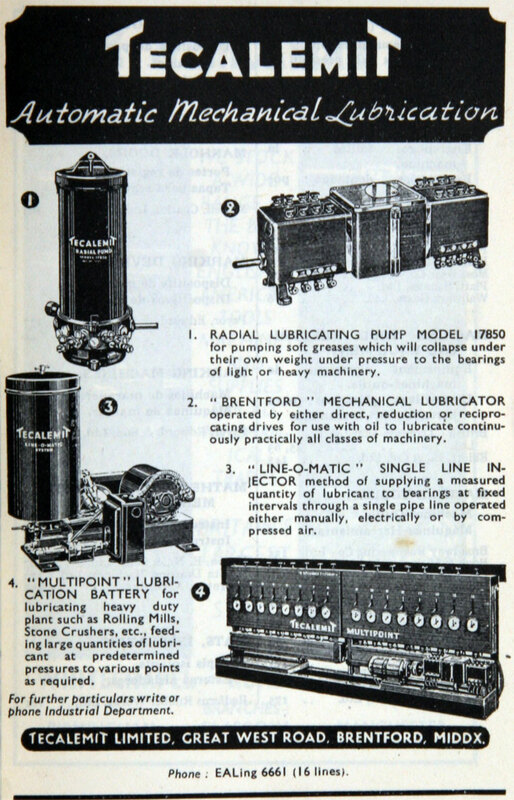 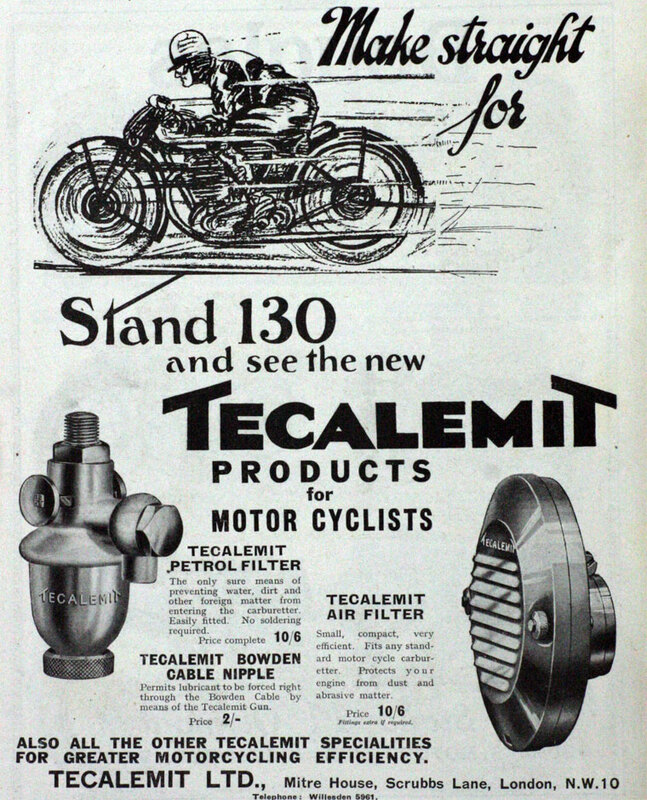 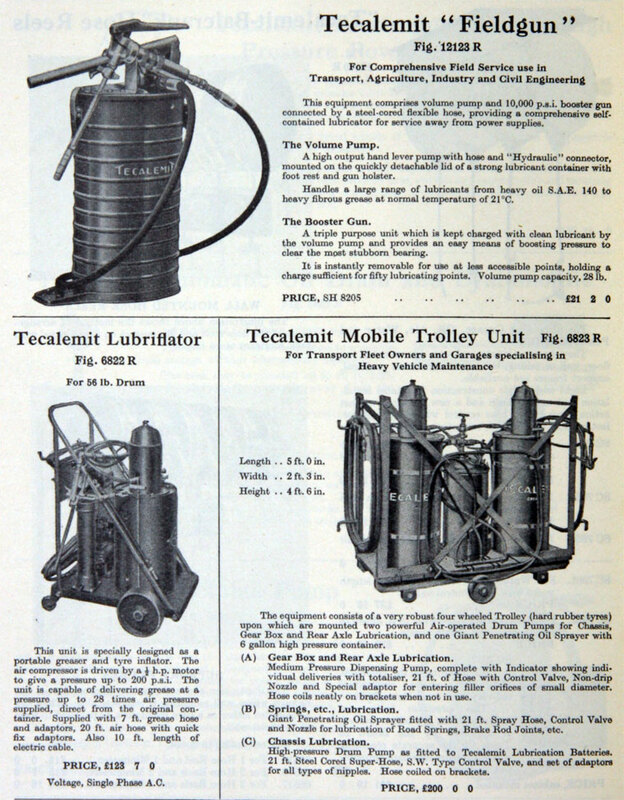 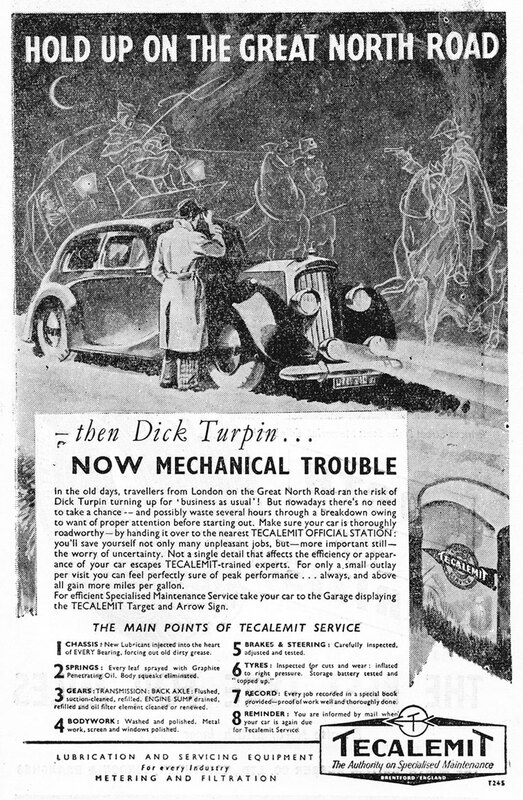 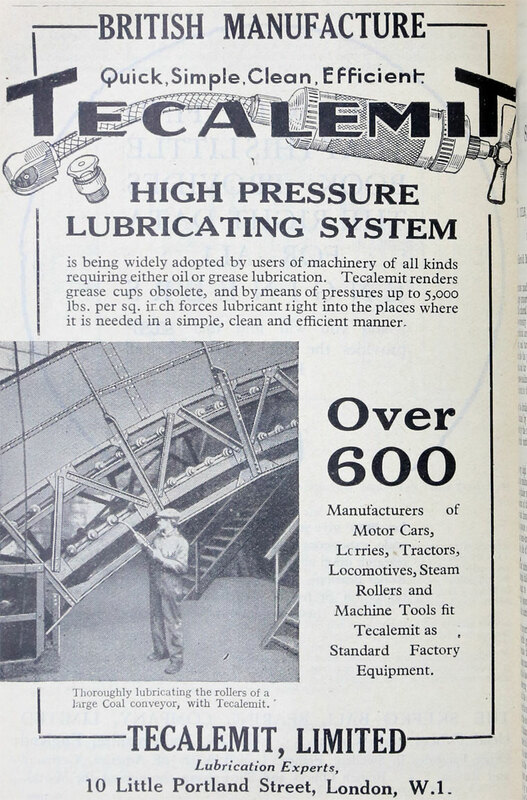 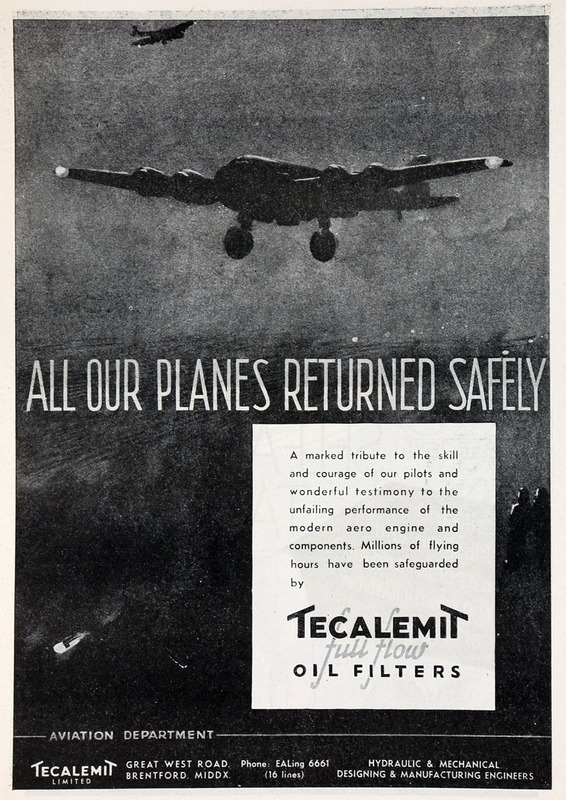 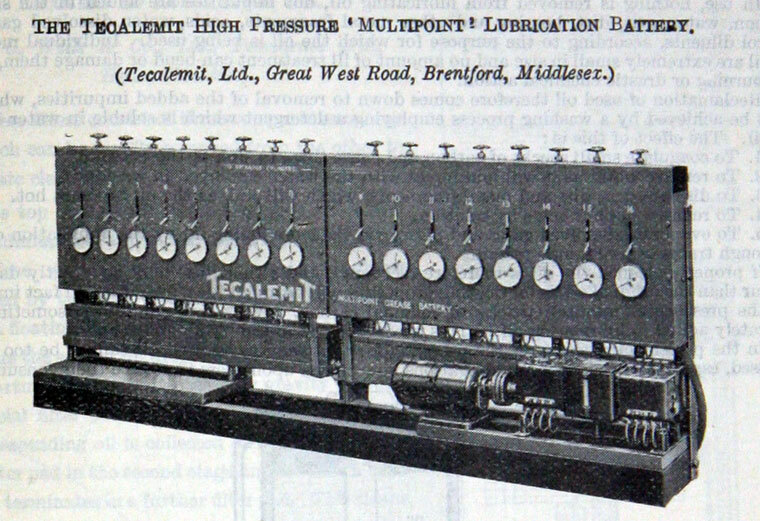 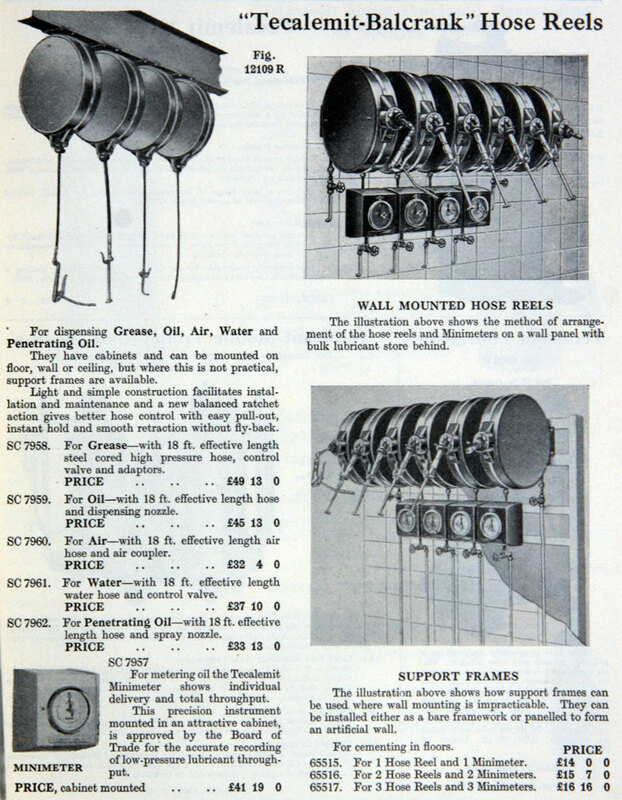 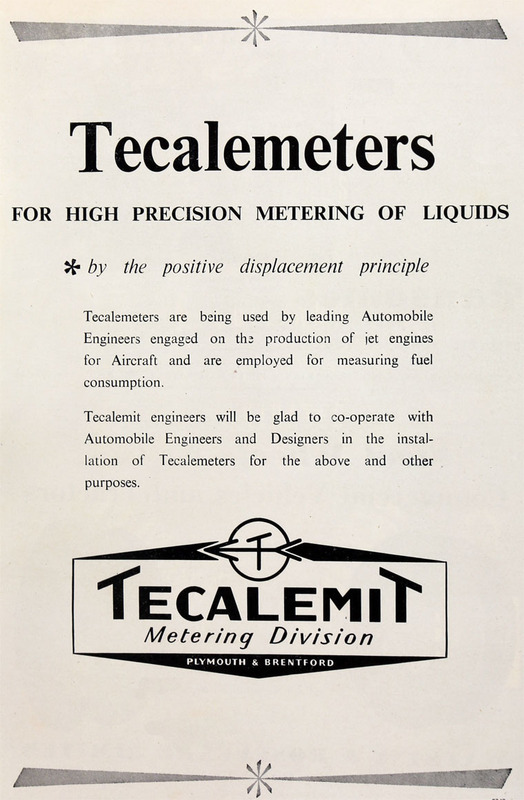 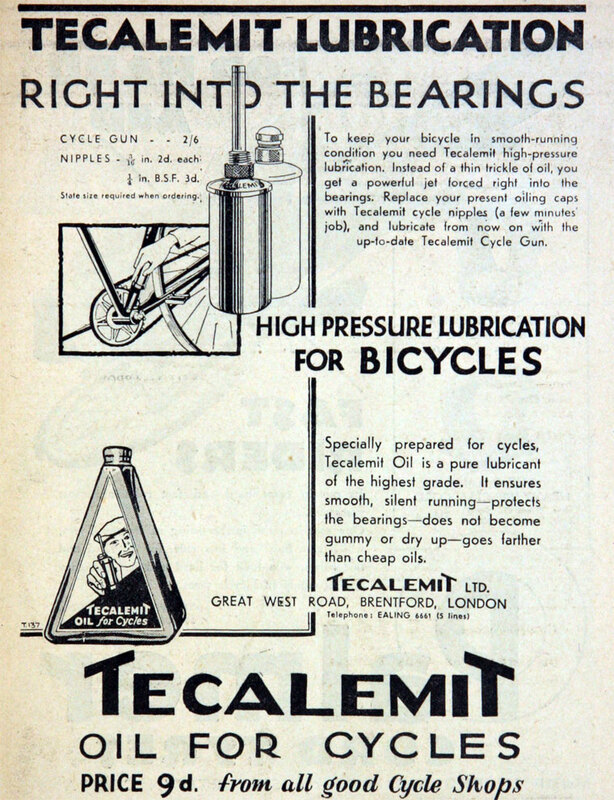 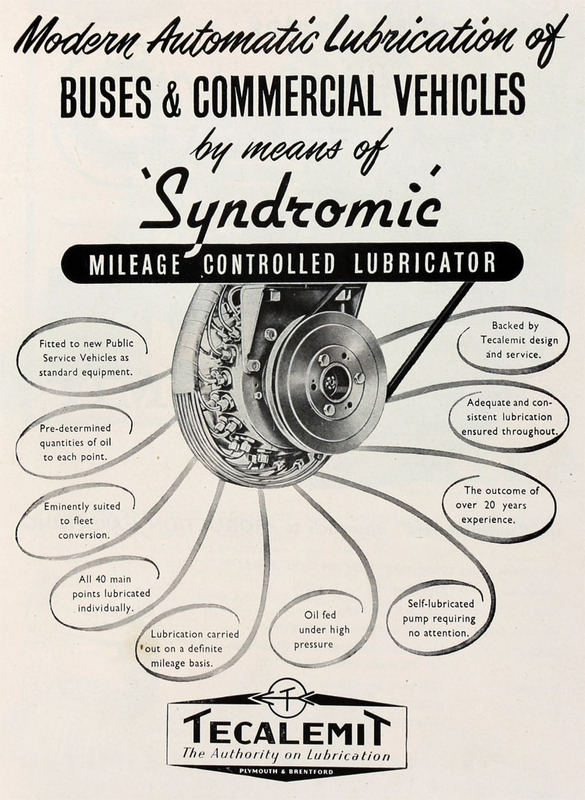 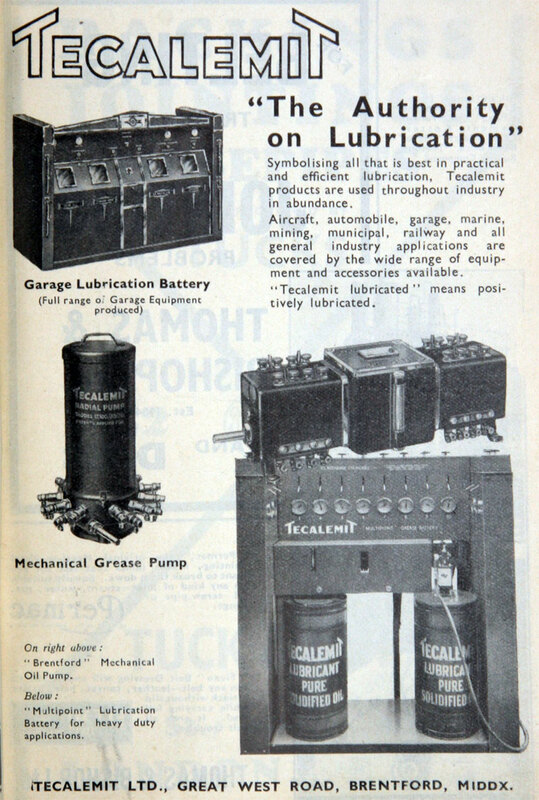 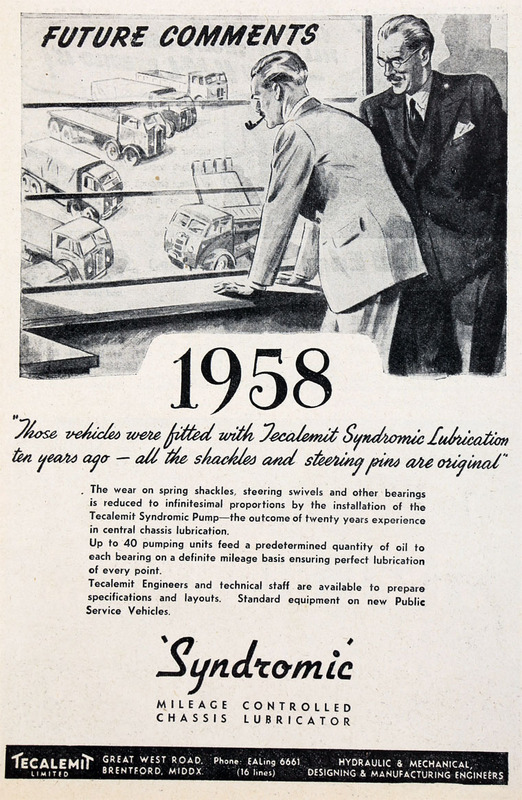 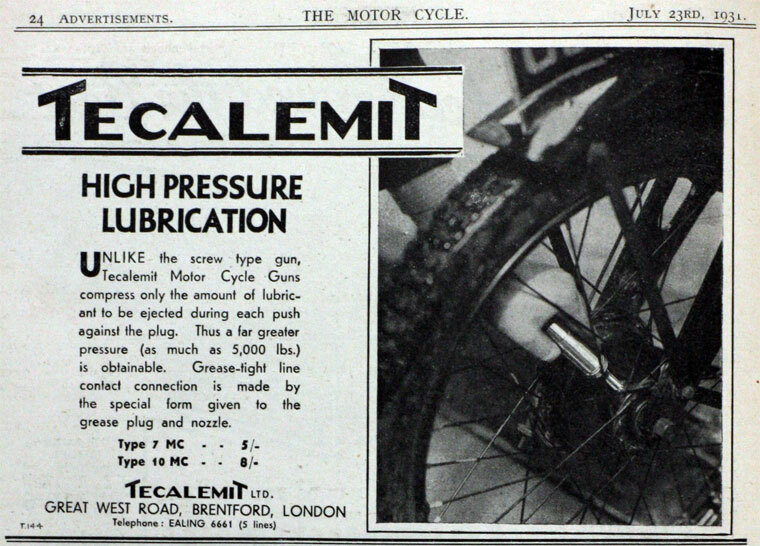 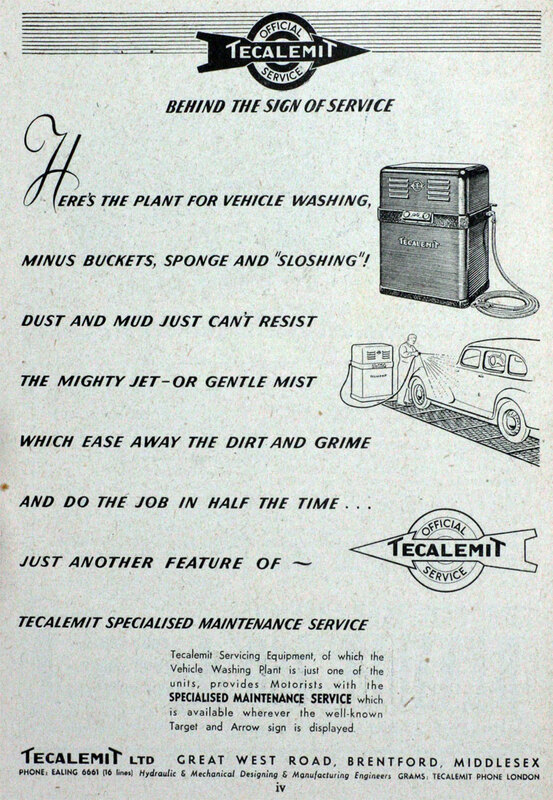 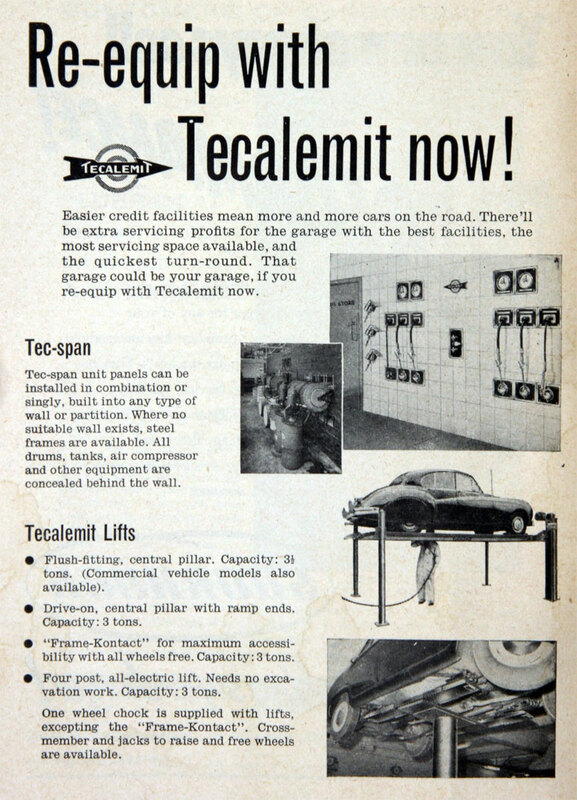 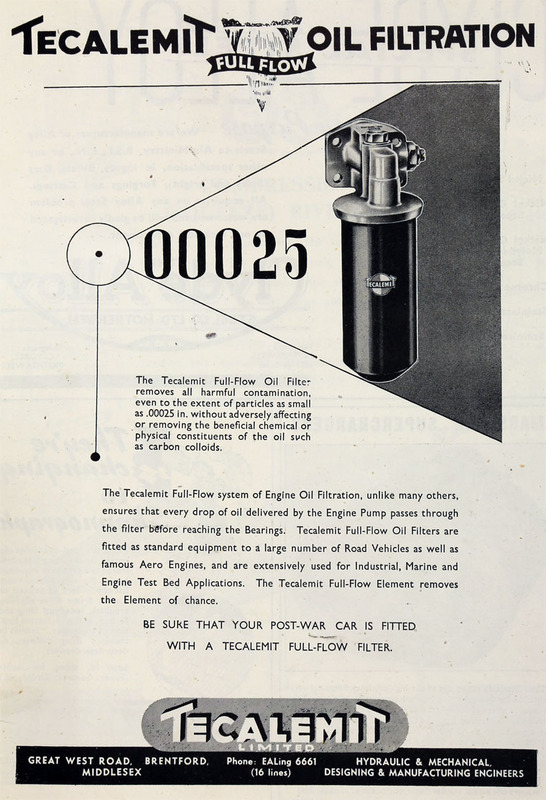 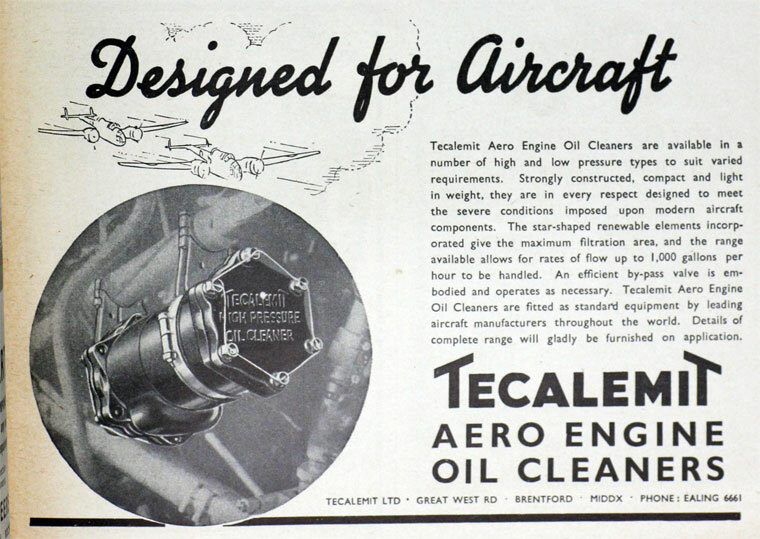 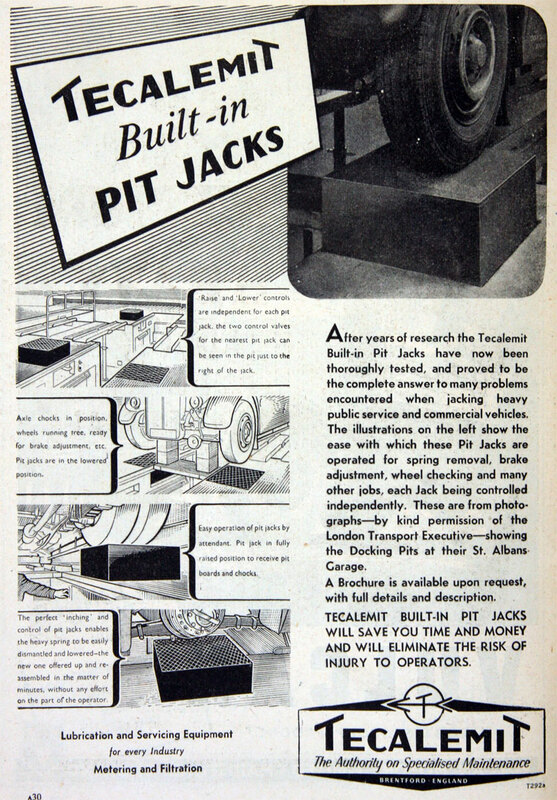 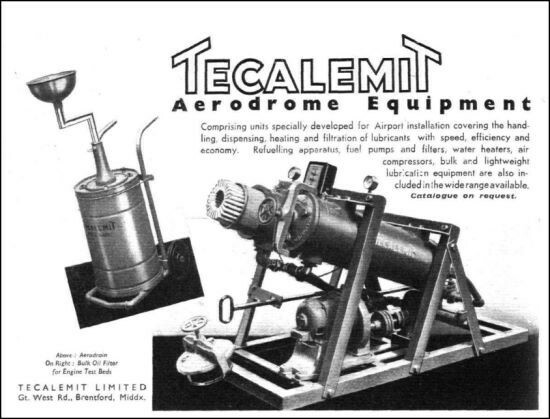 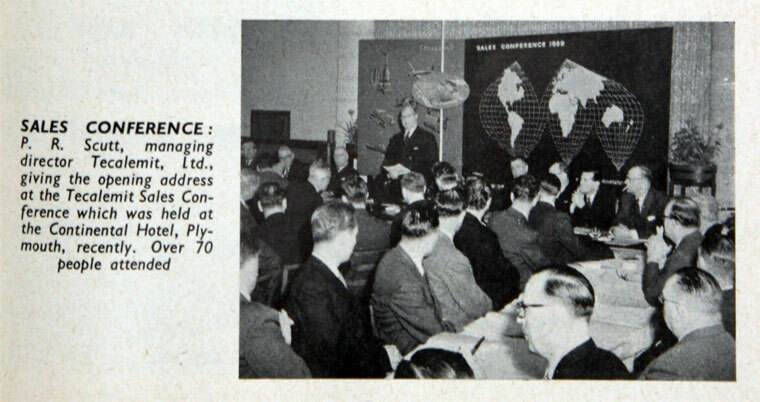 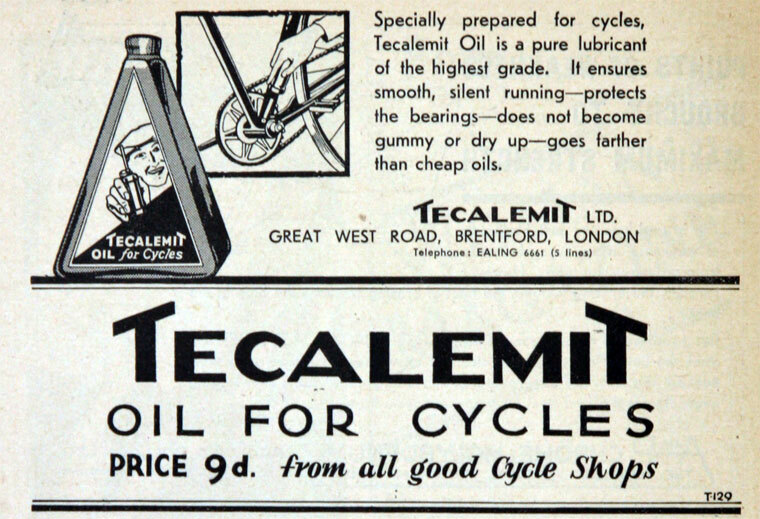 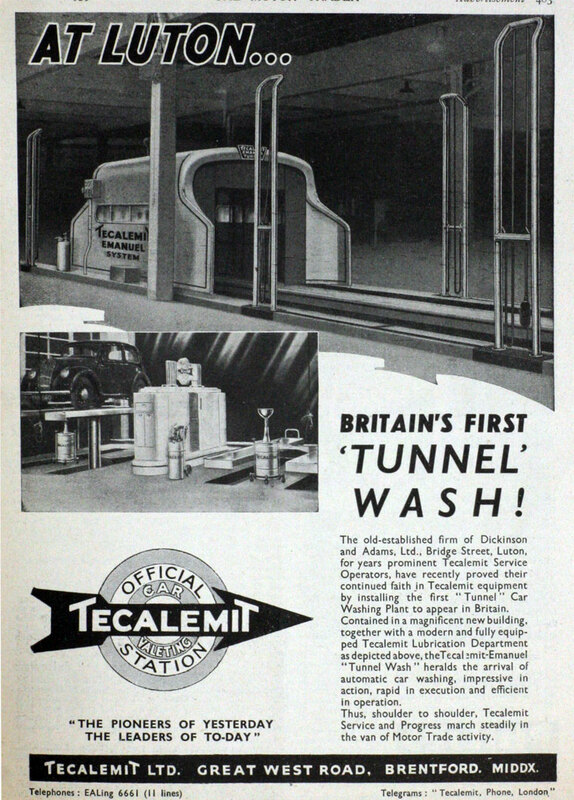 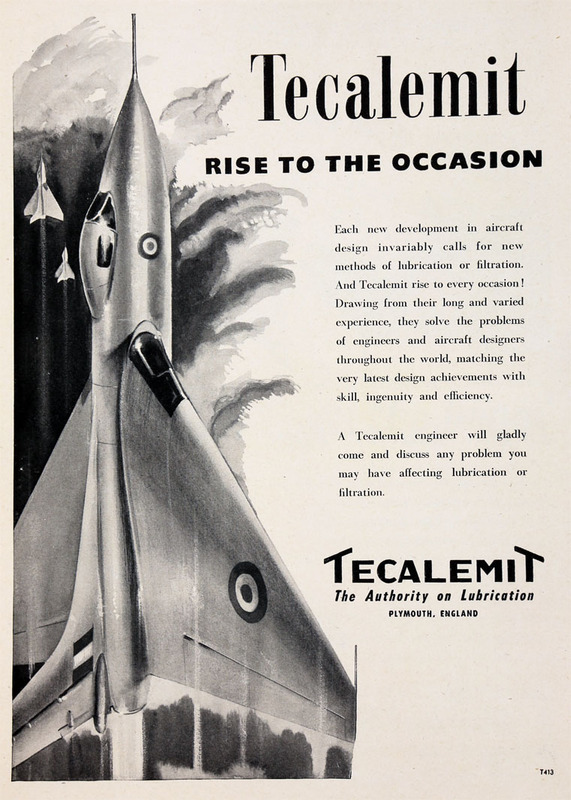 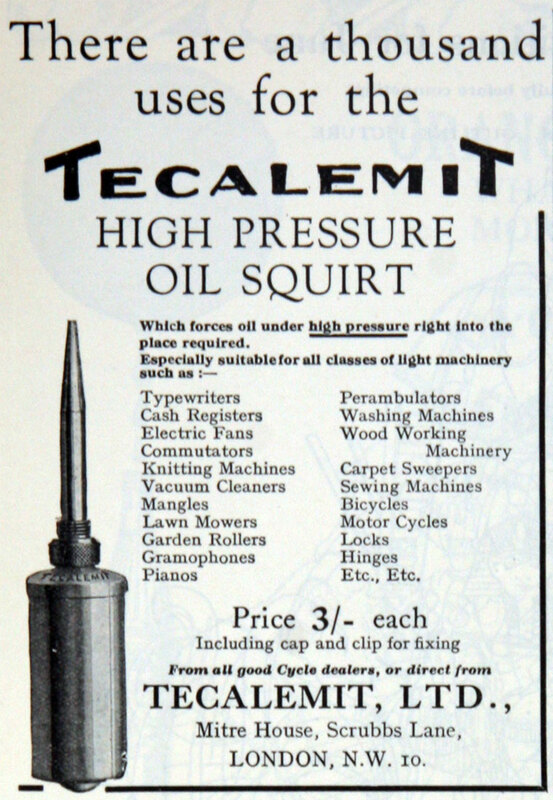 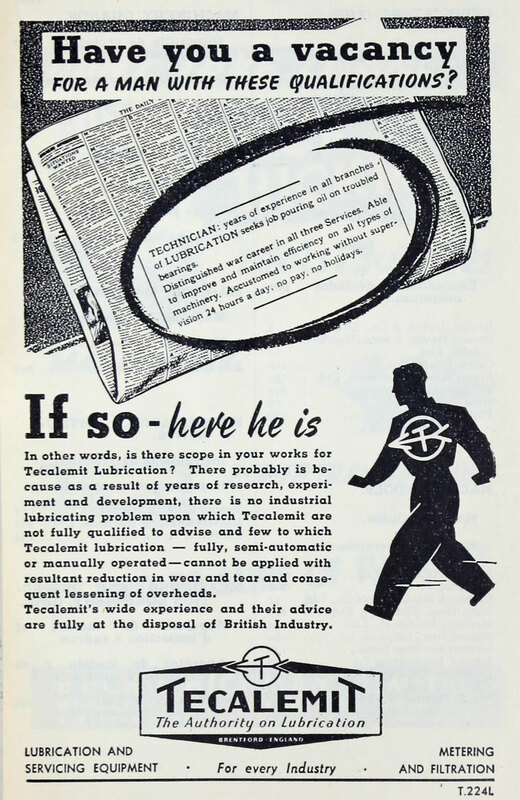 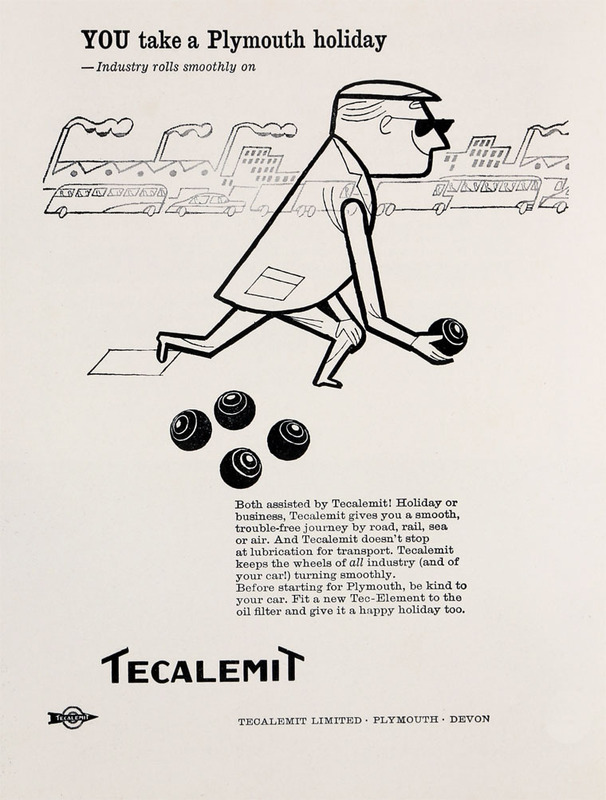 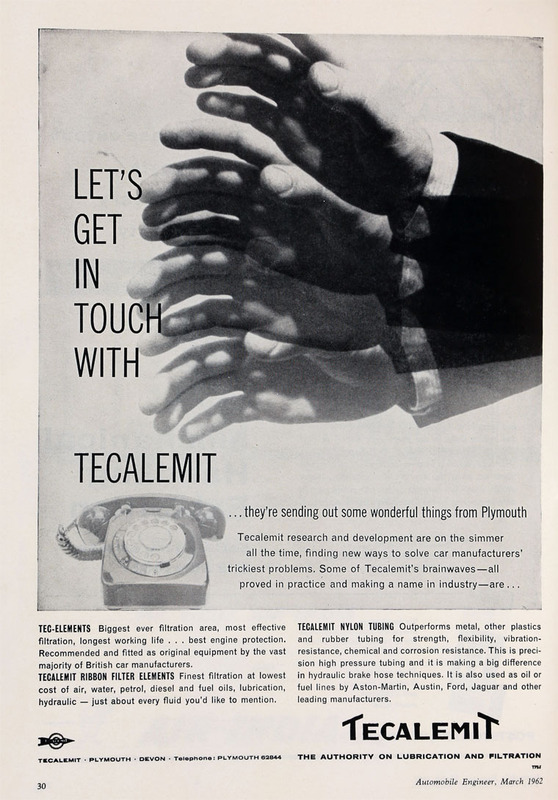 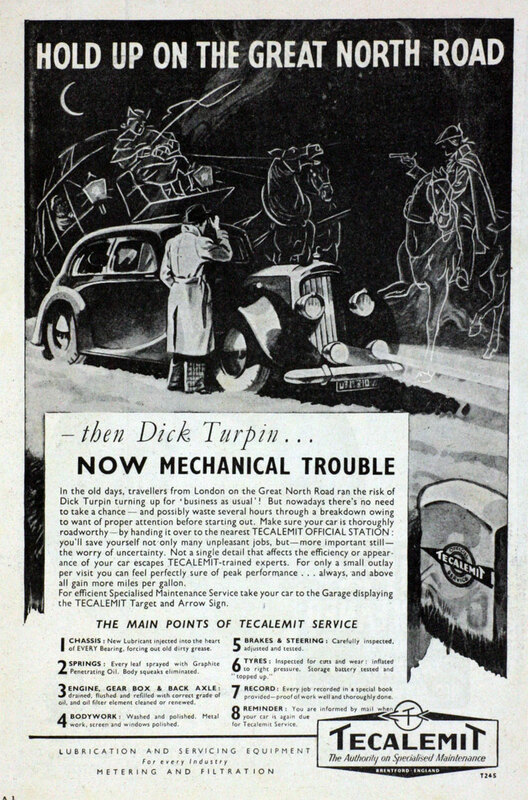 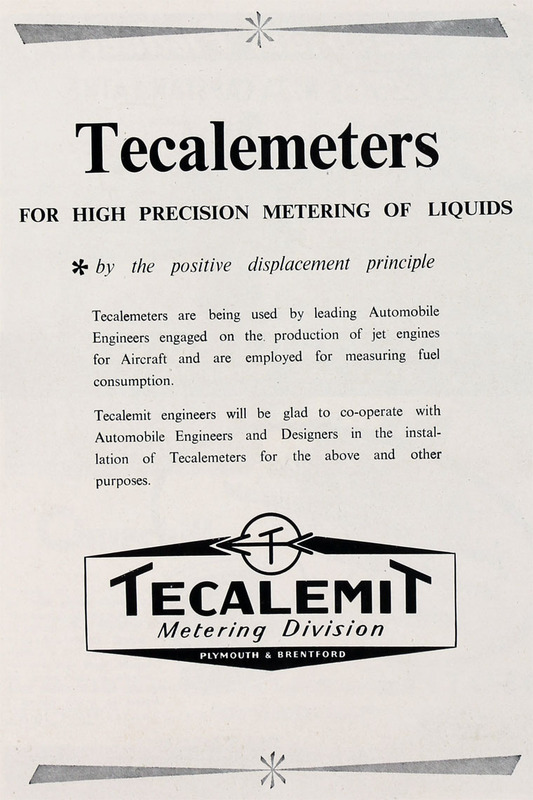 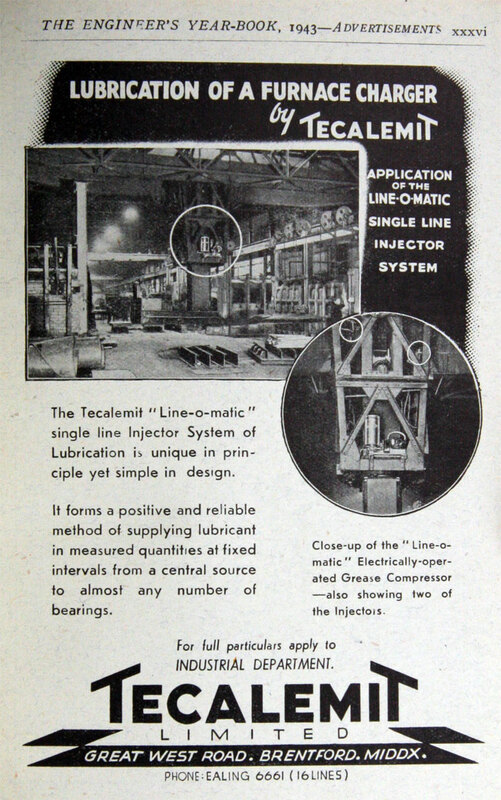 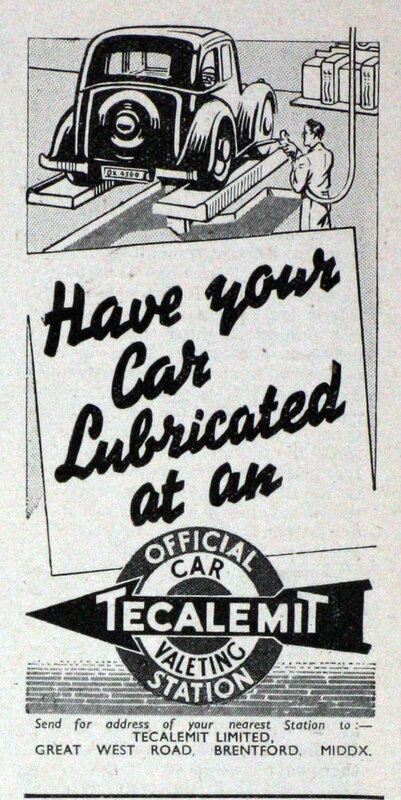 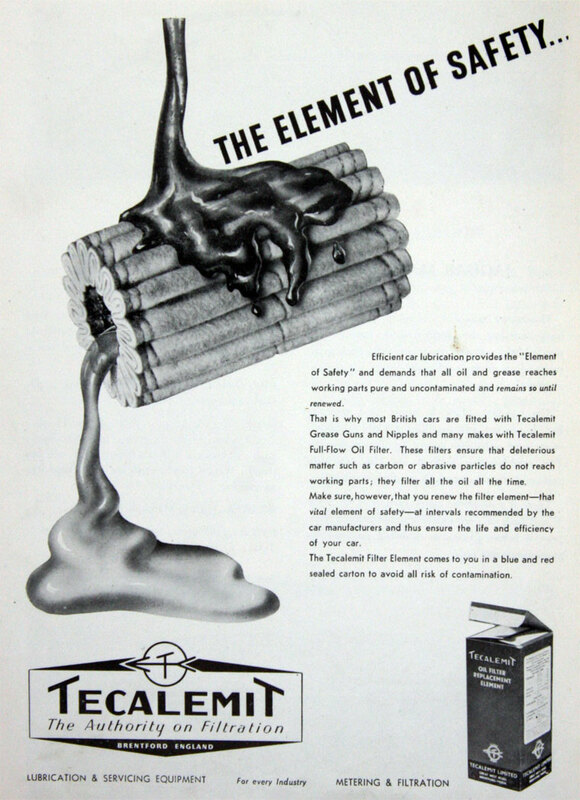 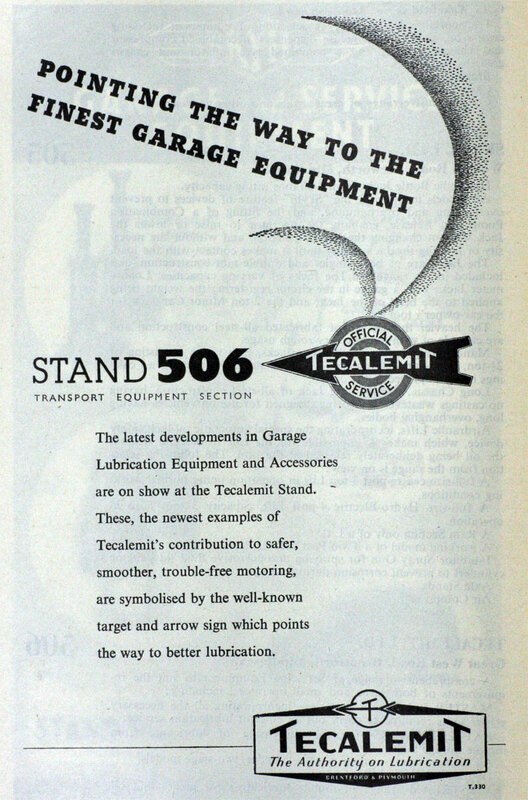 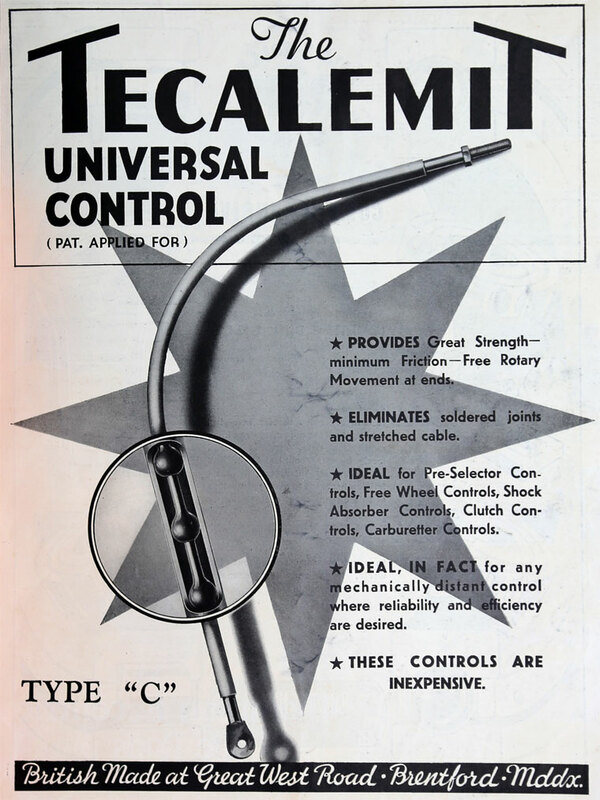 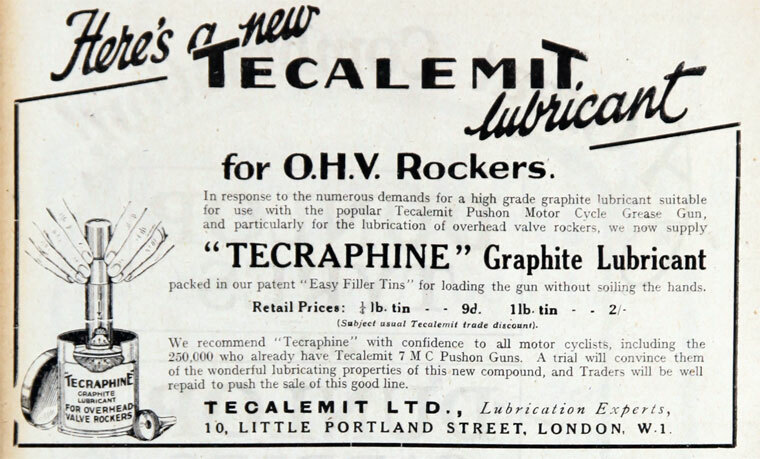 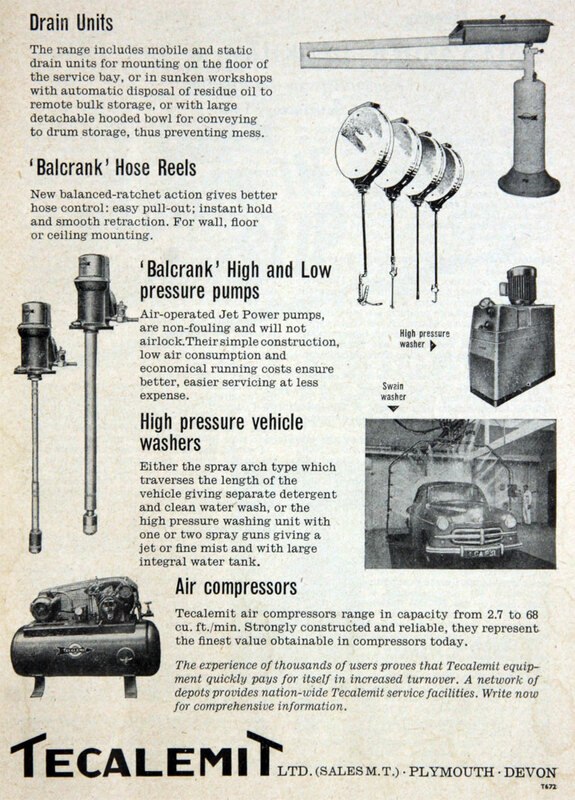 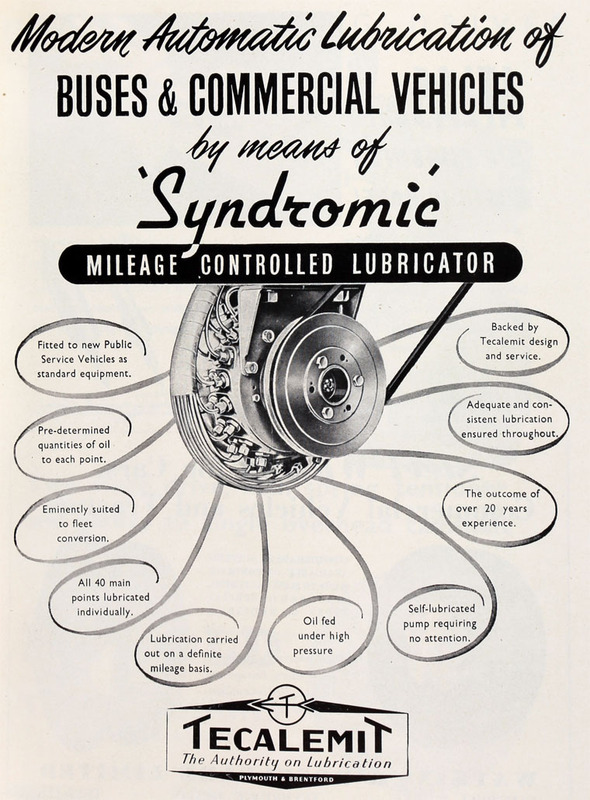 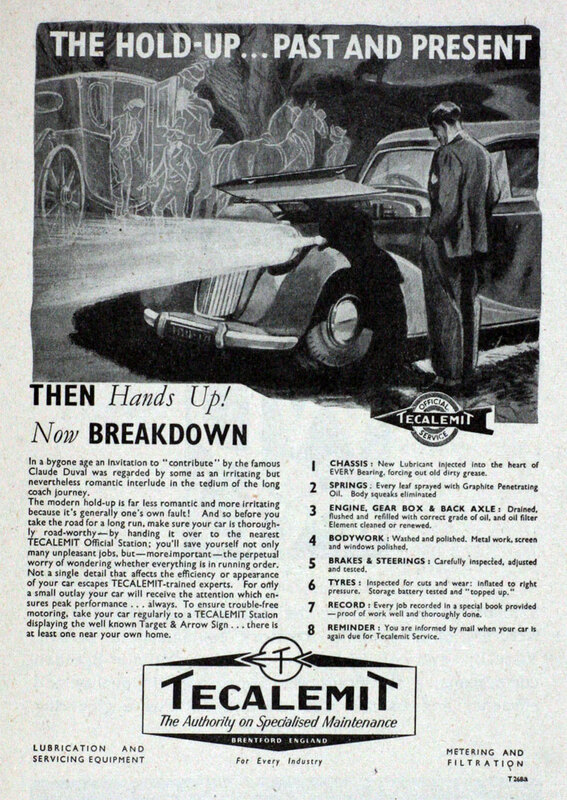 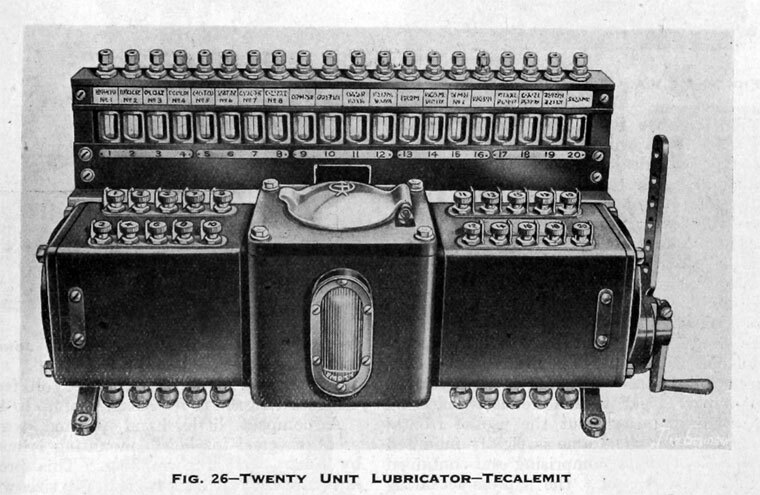 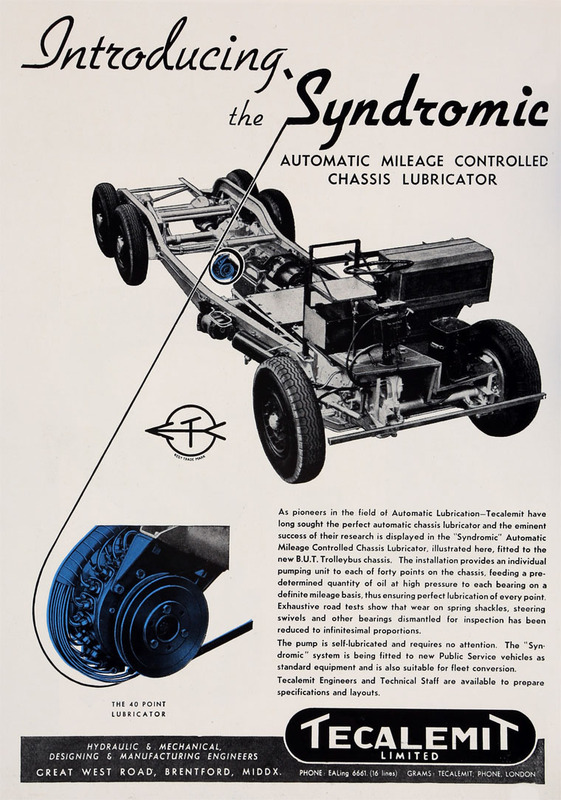 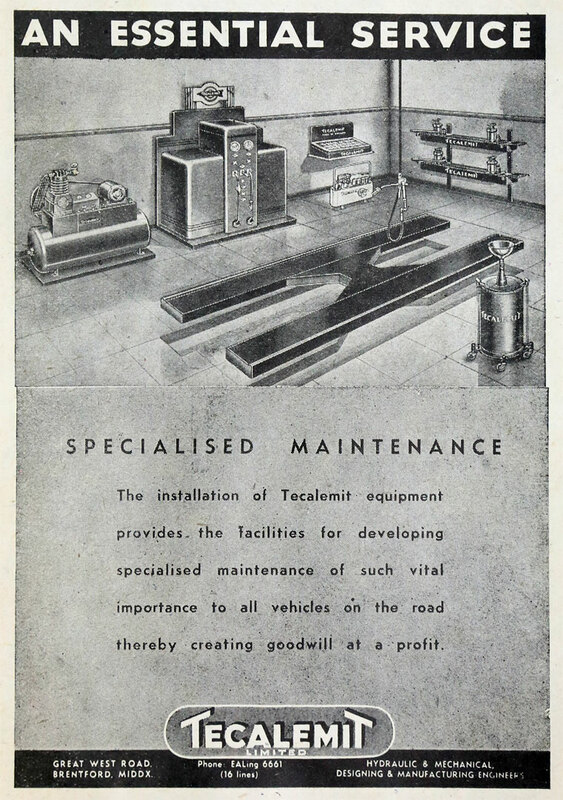 1934 Public company incorporated; the Tecalemit service was offered through about 2500 garages; owned various patents including Tecalemit, Alemite and Zerk systems of lubrication or coupling; the shares were being sold by W. H. Botsford and Co who had acquired them from a predecessor company, Tecalemit Ltd, which had been placed into voluntary liquidation. 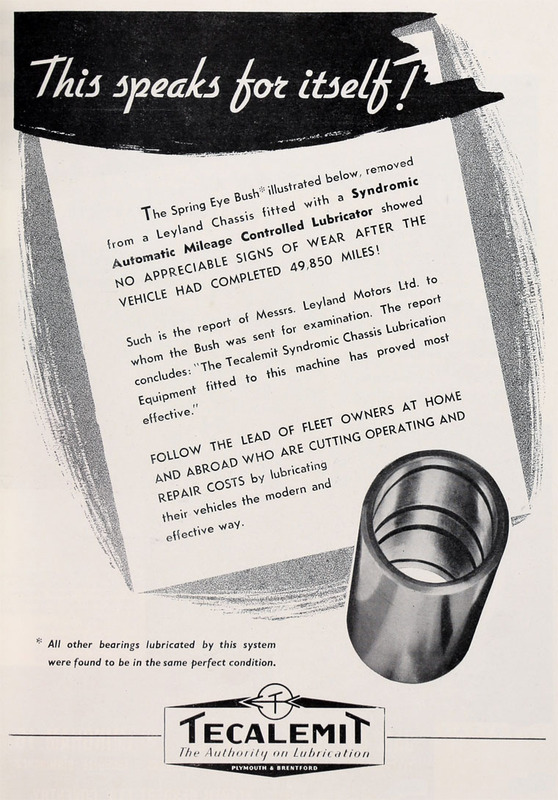 This page was last edited on 27 March 2019, at 16:06.